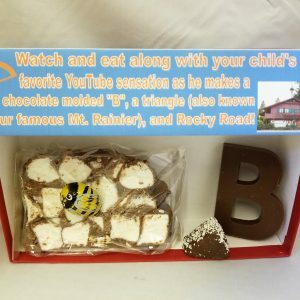 The High Alpine Chapel is located at Boehms Candies in Issaquah, WA and is conveniently located just 20 minutes east of Seattle along Interstate 90. Click here for directions. 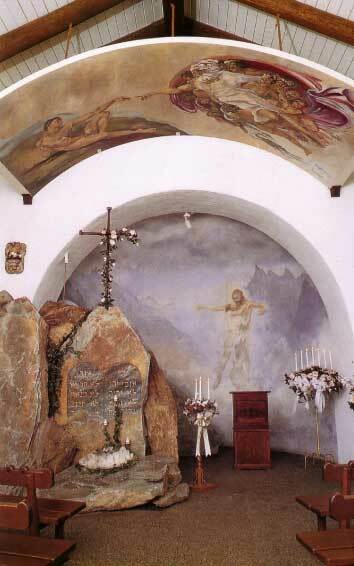 The Boehms chapel is a replica of a 12th century chapel located in St. Moritz, Switzerland. 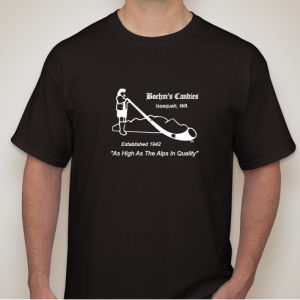 The founder of Boehms Candies, Julius Boehm had the chapel built in 1981 in memory of fallen mountain climbers. Over the years the chapel has played host to holiday concerts, wakes, and numerous weddings. With a maximum occupancy of 48 people, the charm and character of the chapel make it perfect for small weddings and occasionally other functions. There is also a separate changing room for the bride and groom located next to the chapel, as well as the peaceful park-like areas between Boehms Candies and the chapel. For more information about the chapel including availability please call our Chapel Coordinator Rev. Jeanne Dembeck by phone at (425) 204-1821. * Unfortunately the staff at Boehms Candies cannot “show” the chapel. 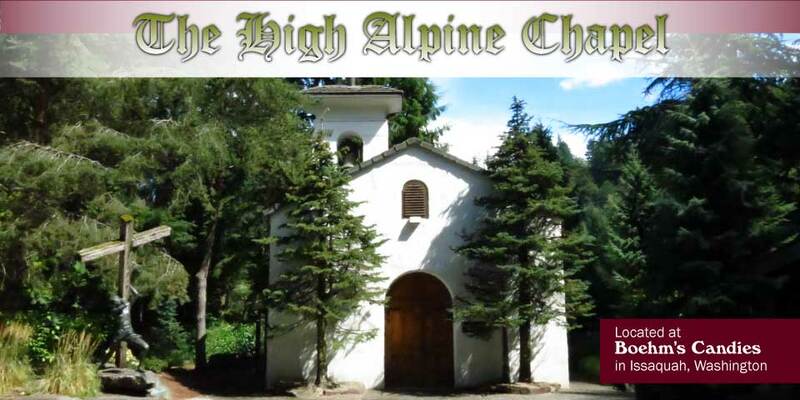 All viewing, appointments, questions and other information regarding the High Alpine Chapel should be directed to our Chapel Coordinator Rev. Jeanne Dembeck by phone at: (425) 204-1821 or email.